Dobro došli u Bosnu i Hercegovinu! Добро дошли у Босну и Херцеговину! We, AFS in Bosnia and Herzegovina, look forward to having You in our country and to help You to make the most of your AFS-experience! 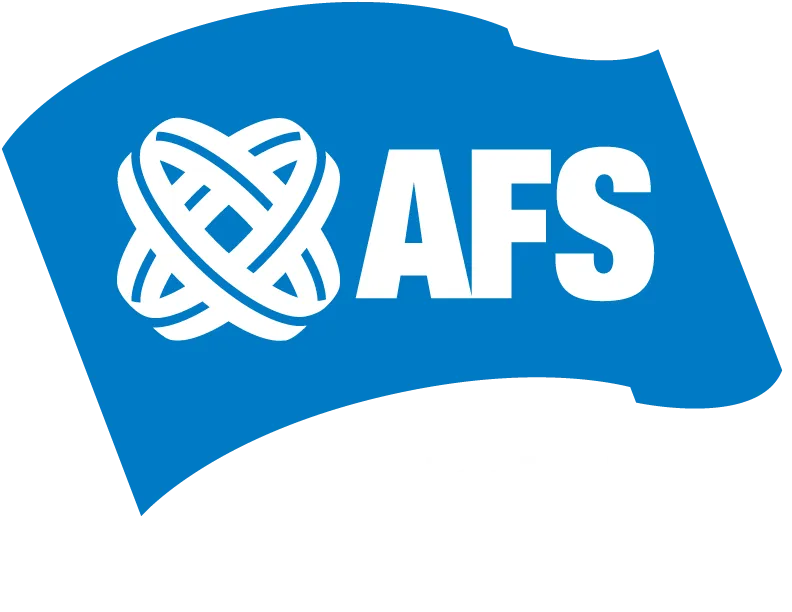 Your time with AFS can be a wonderful, enriching, interesting adventure. The focus of all AFS programs is intercultural learning and if you keep an open mind, You could learn a tremendous amount of new things in Bosnia and Herzegovina. The dream country – does it include the pyramids in Egypt? The Amazon forest? What about architecture from fallen empires or analyzing religious art from various faiths? Maybe it’s a seaside voyage or even an expedition of famous sites that changed the face of mankind’s history? The world has so much to offer, but what if you could have it all in one tiny country? If You have not decided yet to which country to go for an AFS exchange, take a look of what Bosnia and Herzegovina, the “Heart-shaped country”, can offer to You. Bosnia and Herzegovina lies in the heart of Southeast Europe. It is here that eastern and western civilizations met, sometimes clashed, but more often enriched and reinforced each other throughout its long and fascinating history. Here, the most interesting and attractive sites are a wonderful mix of this tiny country’s cultural and natural heritage. Perhaps what is most important for the visitor to know today, though, is that Bosnia and Herzegovina is a stunningly beautiful country with a vast array of landscapes, cultures, traditions and people. And as the old cliche goes ‘people make the place’ – and BiH prides itself on its hospitality and treating our guests as if they were family members. And family we take to heart. Location: Bosnia and Herzegovina lies in the Southeastern Europe, boardering the Adriatic Sea, Croatia, Serbia and Montenegro. Cities: Capital city of Bosnia and Herzegovina is Sarajevo. Other bigger cities are: Banja Luka, Bihać, Brčko, Mostar, Tuzla and Zenica. The official languages in Bosnia and Herzegovina are: Bosnian, Croatian and Serbian. Though, they are very similar and in the time of Yugoslavia they were acctually one language. By learning one of these languages, the other two are automatically learned too. Bosnian: Sva ljudska bića rađaju se slobodna i jednaka u dostojanstvu i pravima. Ona su obdarena razumom i sviješću i treba da jedno prema drugome postupaju u duhu bratstva. Croatian: Sva ljudska bića rađaju se slobodna i jednaka u dostojanstvu i pravima. Ona su obdarena razumom i sviješću i trebaju jedna prema drugima postupati u duhu bratstva. Serbian: Cвa људскa бићa рaђajу сe слoбoднa и jeднaкa у дoстojaнству и прaвимa. Oнa су oбдaрeнa рaзумoм и свeшћу и трeбa jeдни прeмa другимa дa пoступajу у духу брaтствa. Alphabets: Latin and Cyrillic. Latin alphabet is used mostly in Bosnian and Croatian language and Cyrillic mostly in Serbian language. Through all known history, the region was populated by a number of different peoples speaking distinct languages. Rome completes its annexation of the region in the 9th century and by the end of the 6th century the all area was populated by the Slavs who migrated here from the East Europe. Medieval Bosnian country was for the first time mentioned in 958 in De administrando imperio written by the byzantine emperor Constantine Porphyrogenitus as a small country in the today’s central-eastern Bosnia. The most powerful rulers or “ban” were ban Kulin and Stefan II Kotromanić who expanded Bosnia to the territory of today’s Herzegovina. The first crowned ruler and establisher of the Bosnian kingdom was Tvrtko I Kotromanić who expanded Bosnia during the 14th century also to some parts of today’s Dalmatia and Montenegro. The last Bosnian king Stjepan I Tomašević was executed in 1463 by Ottomans and that was the end of Bosnian kingdom. During the rule of Ottoman Empire, Bosnia was a province called Bosnian eyelet/vilayet and has kept its historical name and territorial integrity trough 415 years. The Ottomans have brought Islam to Bosnia, but in the same time there were living Christian-Catholics, Orthodox-Christians and a significant number of Sephardic and Ashkenazy Jews came to Bosnia from Spain and central Europe. The followers of all four religions were living in peace together and all of them were free to liberally practice their religion. In the 19th century Ottoman Empire was loosing the power and eventually has ceded the administration of Bosnia to the Austro-Hungarian Empire through the Treaty of Berlin in 1878. After annexing Bosnia and Herzegovina, Austro-Hungarian authorities did much to codify laws, introduce new political practices, develop industry, improve transportation and generally to provide for modernization in BiH. Interesting fact is that the Austrians brought trams to BiH and Sarajevo was the first city with electric trams in Europe. In the begin of 20th century, the idea of unified South Slavic state became very popular in the region and it culminated in Sarajevo on June 28, 1914, when Gavrilo Princip, member of the movement Young Bosnia assassinated the heir to the Austro-Hungarian throne, Archduke Franz Ferdinand. This event became the spark that set off World War I.
Kingdom of Serbs, Croats, and Slovenes was formed in 1918 and was ruled by the Serbian Karađorđević dynasty. The Kingdom included the previously independent kingdoms of Serbia and Montenegro and the South Slav territories in areas formerly subject to the Austro-Hungarian Empire: Dalmatia, Croatia-Slavonia, Slovenia, Bosnia and Herzegovina and Vojvodina. King Alexander I proclaimed a royal dictatorship and renamed the state Yugoslavia in 1929. Yugoslavia was invaded by Germany on April 6, 1941 and was reorganized into four provinces under foreign rule. In the same time, Yugoslavs under the leadership of Josip Broz Tito organized their own anti-fascist multi-ethnic resistance group, the Partisans. In 1943 they have established the Democratic Federal Yugoslavia which included six federal states: Bosnia and Herzegovina, Croatia, Macedonia, Montenegro, Serbia and Slovenia. In 1945 Yugoslavia was liberated and renamed to the Federal People’s Republic of Yugoslavia which included beside the 6 federal states also two autonomous provinces Vojvodina and Kosovo and Metohija. By the new constitution in 1963, the republic’s name is changed to Socialist Federal Republic of Yugoslavia. The Socialist Federal Republic of Yugoslavia was one of the largest, most developed and diverse countries in the Balkans. Yugoslavia was a mix of ethnic groups and religions, with Orthodox Christianity, Catholicism and Islam being the main religions. Paralel with the collapse of communism in Eastern Europe during the late 1980s and early 1990s, Yugoslavia experienced a period of political and economic crisis. Political leaders used nationalist rhetoric to erode a common Yugoslav identity and fuel fear and mistrust among different ethnic groups. In June 1991 Slovenia and Croatia have declared their independence and in March 1992 Bosnia and Herzegovina declared independence too. This was followed by warfire first shortly in Slovenia, then in Croatia and lasted the longest in Bosnia and Herzegovina till the Dayton Peace Agreement which was signed in December, 14th 1995 by the presidents of Republic of Bosnia and Herzegovina, Croatia and Serbia. For more information on the war in Bosnia and Herzegovina 1992-1995 and the conflicts in the teritory of former Yugoslavia, please visit the website of the International Criminal Tribunal for the former Yugoslavia. Read the Dayton Peace Accords and the Constitution of Bosnia and Herzegovina here: Office of the High Representative and EU Special Representative. Watch the movie No Man’s Land (2001) directed by Danis Tanović and awarded with Oscar for best foreign language film in 2002. June 2008: The signing of the Stabilization and Association Agreement (SAA) with European Union. Learn more about the Bosnian-Herzegovinian Road to the European Union here: Delegation of the European Union to Bosnia and Herzegovina. Approximately 49% (est.2010) of the population lives in towns or cities. Families in the cities usually live in the apartments, though there are still a high number of private houses in the city centers and suburbs. Both in the suburbs and villages, there is still a great community atmosphere to be found. Interesting fact: removing the shoes before entering the house or the apartment is a regular practice in BiH. Family is very important in the culture of BiH. Children are mostly staying at their parents’ house until they get married unless they move to another city for studies or work. It is not rare that the grandparents live with their children’s families and sometimes care for the young children while the parents are working. Both women and men usually work. In the most families, the women, beside their job, are also responsible for the household tasks like cooking, childcare and household chores. Though, in the last years, especially in the urban areas, men are tending to take over some of the household tasks too. Families usually spend time together on weekends and have at least one meal a day together. The most frequent activities are visiting friends and cousins, going to picnics in the nature, going to the cost in the summer and in the mountains in the winter. offee shops which can be found in the towns or they go to cinema, local youth centers, concerts…and when 18 years old – also in clubs and bars. Cuisine in Bosnia and Herzegovina is a mixture of Western and Eastern influences. The food is closely related to Turkish, Middle Eastern and other Mediterranean cuisines, but due to years of Austro-Hungarian rule, there are also many culinary influences from Central Europe. baklava, hurmašice, tulumbe, tufahija… Turkish delights and sweets. janjetina , a whole lamb cooked on a spit by rotating over a coal fire for a long time. It can be found almost at any restaurant and on special occasions, some families make such roasts at home. Slices of bread with cheese and marmalade or small sausages with scrambled eggs are to be found on the table for breakfast, and are usually served together with tea or white coffee. Typical lunch or dinner served in Bosnian families is consisted out of soup – mostly chicken or beef soup with noodles, salad – mostly made of tomato, cucumbers and onions, main dish – different versions of meet with rice, potato, pasta or vegetables. Coffee drinking in Bosnia is a traditional daily custom and plays an important role in society, especially during social gatherings. Most popular kind of coffee is “Bosnian coffee”, sometime also called as “Turkish coffee“, though it is prepared slightly differently than its Turkish predecessor. Espresso, macchiato and cappuccino are also popular. Rock and Roll is very popular in Bosnia and Herzegovina too. Some of the most famous rock bands in the territory of former Yugoslavia were actually from Bosnia and Herzegovina, like for example: Bijelo Dugme, Zabranjeno Pušenje, Crvena Jabuka, Plavi Orkestar, Indexi and Divlje Jagode. Today, new bands are on the stage and they are becoming more popular in the Balkan area and Europe. Some of them are: Letu Štuke, Skroz, Dubioza Kolektiv. Pop is also very listened. Some of the famous singers and bands from BiH are Dino Merlin, Zdravko Čolić, Hari Mata Hari, Goran Bregović and others. Sevdalinka is a very popular music genre in the whole Balkan area and has its origins in Bosnia and Herzegovina. The composers of sevdalinka are mostly unknown. It is characterized by a slow or moderate tempo creating a melancholic feeling. Sevdalinka songs are very emotionally charged and are traditionally sung with passion. The combination of Oriental, European and Sephardic elements make this type of music stand out among other types of folk music from the Balkans. The name „sevdalinka“comes from the word „sevdah“ and sevdah has a special meaning and place in our hearts and lifes. In order to understand it better, here are couple of sevdalinkas interpreted by our famous singers. Cinematography arrived to Bosnia and Herzegovina as early as 27 July 1897, when the first film screening was held in Sarajevo. Cinemas became popular at the beginning of the last century, and efforts to make films were also registered. In the 114 years that have passed since the first projection – a century with three wars – a total of 135 feature films were made, along with thousands of documentaries and short films. The past decade has seen a number of high profile succeses coming out of the state, including Danis Tanovic’s Oscar winner “No Man’s Land” and Jasmila Zbanic’s Berlin Golden Bear winner “Grbavica”, while the Sarajevo Film Festival remains one of the premier festivals in Europe. Some of other famous new movies are: “Go West”, “Circus Columbia”, “The Path”, “Remake”, “Nafaka”. Visit also the web site of Sarajevo Film Festival, one of the most famous festivals in Balkan and Europe. Ivo Andrić, winner of the Nobel prize for literature, is the most famous name of literature of Bosnia and Herzegovina in the world. He was born in a village Dolac near Travnik in 1892. After finishing elementary and high school in Travnik, Višegrad and Sarajevo, Andrić continued his studies in Zagreb, Vienna and Krakow. After receiving a doctorate in Graz in 1923, he joined the diplomatic core of the newly established Kingdom of Yugoslavia. Andrić left his last diplomatic mission, the ambassadorship in Berlin, immediately after Germany attacked and occupied Yugoslavia on 6 April 1941. After returning to Belgrade, Andrić retired from public life, writing in the isolation of his home some of the best Romanesque, narrative and essay works in Serbian/Croatian/Bosnian language. During the World War II he wrote his most important book – a novel “Na Drini ćuprija” (Bridge across Drina), for which he received a Nobel prize in 1961. His other work – Travnička hronika, Gospođica, Pripovijetke, Prokleta avlija, and others belong to the highest category of literary art. Andrić died on 13 March 1975. Mehmedalija Meša Selimović is undoubtedly the most reputable literary name of cultural history of Bosnia and Herzegovina. He was born in 1910 in Tuzla. After graduating from the Philosophic Faculty in Belgrade, until the World War II broke out, he worked as a gymnasium professor in his hometown. He was imprisoned in 1942 and in 1943 he joined partisans, the antifascist army of the peoples of Yugoslavia. After the war, he worked for a while as a university teacher in Sarajevo and assumed many important cultural duties. He spent his last years in Belgrade, his wife’s hometown. Selimović is a prosaic writer with variety of themes and genre orientation. His literary opus includes several books of short stories, novels, studies, essays, and polemic writings. He achieved his biggest success with the novel “Derviš i smrt” (Dervish and death), for which he received all Yugoslav awards. His following novel “Tvrđava” (Fortress) (1970) was also very popular. Meša Selimović died in Belgrade on 11 July 1982. Mak Dizdar is the most significant and the most original poet of Bosnia and Herzegovina. Born in a city of Stolac in Herzegovina, near which there is an ancient necropolis Radimlja, even as a boy, Mak Dizdar was already carried away in the mysteriousness of tombstones called stečci, which even though they are marking the resting places of the deceased, are in fact celebrating the “life in places of death”. Dizdar’s most famous poem collection “Kameni spavač; – The Stone Sleeper” (1966), was inspired by the cult traditional art of stečci. Other collections of Dizdar, such as Vidovopoljske noći, Plivačica, Okrutnosti kruga, Koljena za madonu, Modra rijeka and others, are also very popular among poetry lovers. In February 1984, Sarajevo was a city of friendship without frontiers, city of peace and city of international recognition without prejudice. The second important fact about Sarajevo Olympic Games was that for the first time since Schamonie 1924 one small county became the host of Winter Olympic Games. Up to that time this was a privilege reserved for the richest countries of the world. Sarajevo was the first city in Europe and the second city in the world to have a full-time operational electric tram network running through the city, the first being San Francisco. Also, Lonely Planet has named Sarajevo as the 43rd best city in the world, and in December 2009 listed Sarajevo as one of the top ten cities to visit in 2010. Bosnian-Herzegovinian movie won an Oscar! The movie “No Man’s Land” directed and written by Danis Tanović from Bosnia and Herzegovina won the Oscar for the best foreign movie in 2002 at the 74th Academy Awards. Click here to read more about the movie, and here to learn more about the Academy Award. Ivo Andric (1892–1975) was a Bosnian-Herzegovinian novelist and a short story writer. He received in 1961 the Nobel Prize in Literature for the book The Bridge on the Drina (“Na Drini ćuprija”), where he describes the life of this region in which East and West have for centuries clashed with their interests and influences, a region whose population is composed of different nationalities and religions. Click here for more information. Bosnia and Herzegovina has another Nobel prize winner: Vladimir Prelog received the Nobel Prize in Chemistry in 1975 for his work in the field of natural compounds and stereochemistry of organic molecules and reactions. He was born in 1906 in Sarajevo, at the time within the Austro-Hungarian Empire. He finished high school in Zagreb and received his university degree from the Czech Institute for Technology in Prague in 1929. The university, research and scientific carrier of Vladimir Prelog were closely tied to the great scientist Leopold Ruzicka, who was his professor in the studies. Click here for more information. The Old bridge in Mostar and the Mehmed Paša Sokolović bridge in Višegrad are two cultural sites inscribed on the UNESCO World Heritage List and nine more cultural and natural sites are at the moment on the tentative list. Perućica is the one of the largest preserved rainforests in Europe. It is protected by law and located within the National Park „Sutjeska“. Perućica spans over 6 kilometers in length and is 3 kilometers wide, with overall area of 1291 hectares. The rainforest abounds in plant and animal life. Wondrous lakes of the Zelengora Mountain, dubbed the eyes of the mountain because of their elaborate beauty, deep river canyons, abundant creeks and ice-cold water springs are just some attractions Perućica has to offer. In addition, there is also 80 meters high waterfall “Skakavac“, which is a true natural wonder. Click here for more information.